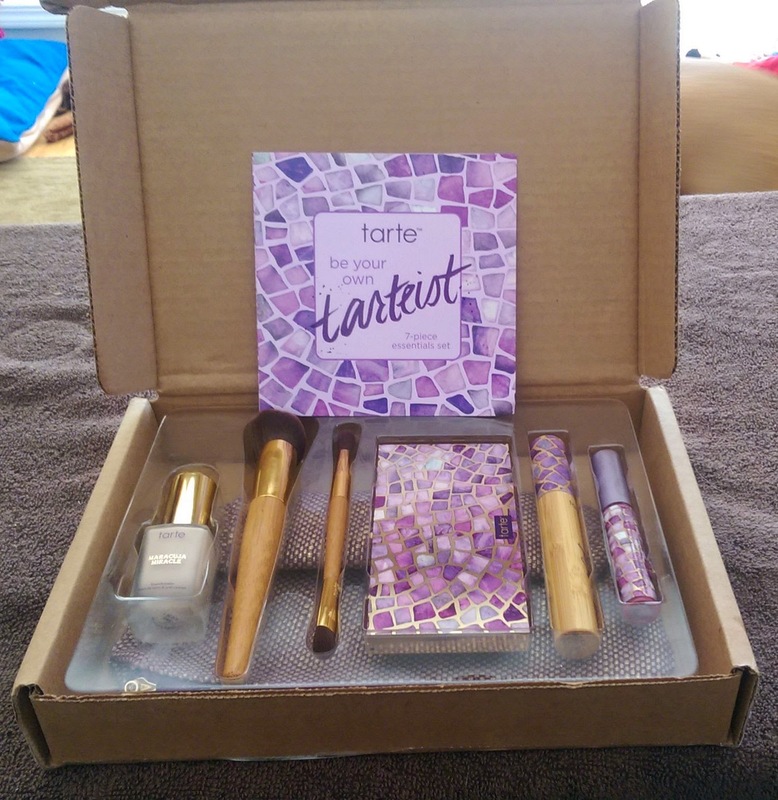 I am a sucker for all of Tarte TSV for QVC -- which means I would totally order them sight unseen just because I'm crazy like that -- but I was especially interested in the Tarte Be Your Own Tarteist Collection that will be available on February 13th on QVC and QVC.com. That's because it contains four brand new products, including a new foundation, and I am always interested in trying out new Tarte goodies. So I ordered the TSV early and have been playing with it for a week or so -- and I'm really enjoying. I'll give a quick rundown of the products, in case you've been thinking about picking it up and are on the fence. 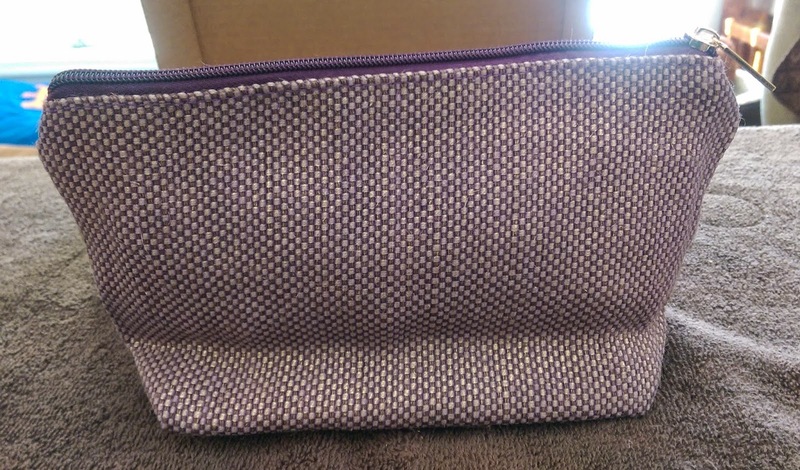 There's also a bonus makeup bag. 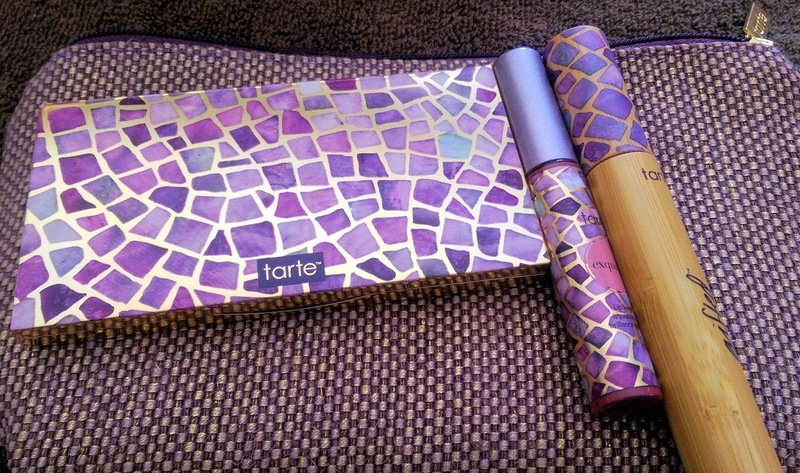 Now, on a purely superficial note, I must comment on the lovely packaging -- the palette, mascara wand, and lip gloss tube all feature the same pretty mosaic design in Tarte's trademark purple. I like looking at them so much that I just might leave the palette out all the time. I've tried the Gifted Amazonian Clay Smart Mascara before -- I have a few tubes from past TSVs, actually -- and I think it's a nice everyday mascara. I prefer Tarte's Lights, Camera, Lashes, but it would still make my top 10 mascaras. Tarte's brushes are always quite nice -- they tend to be synthetic, as these two are, so they're always super soft. The double-ended eye brush is pretty handy: one end is a flat shader type brush, while the other is a fluffy crease type brush. I'm not a fan of double-ended brushes, though. They're just too hard to store, so I usually throw them in my travel makeup bag and use them on the road when I'm looking to consolidate my brush roll. The foundation brush is gorgeous -- super soft, just dense enough, and cut on an angle so it glides over the face very easily. It works very well with the foundation in the TSV too. The Amazonian Clay Eye & Cheek Palette is perfect for travel or even throwing in your bag to take with you to school, the office, or anywhere on the go. That's because it has pretty much everything you need for a complete eye look plus a blush -- and it's super slim and compact so it doesn't take up much space. 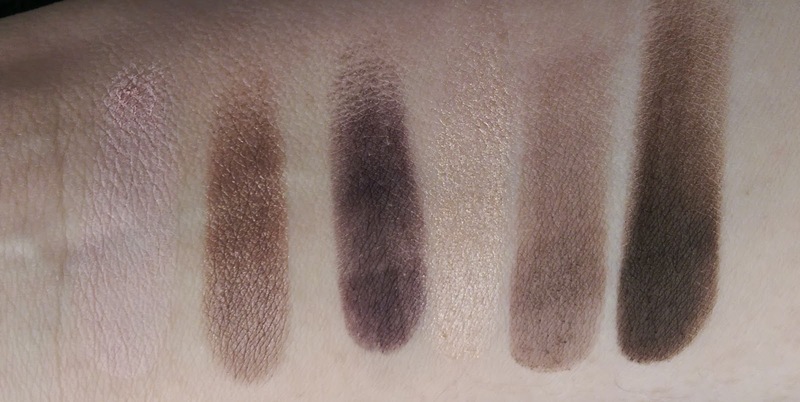 There are six shadows: Pink Beyond, a pale matte pink; Taupe for the Best, a shimmery cool taupe; Dream Plum True, a matte deep purple; Out of this Pearl, a shimmery champagne; Thistle Be The Day, a matte purple-y gray; and Paint The Brown, a matte deep brown. 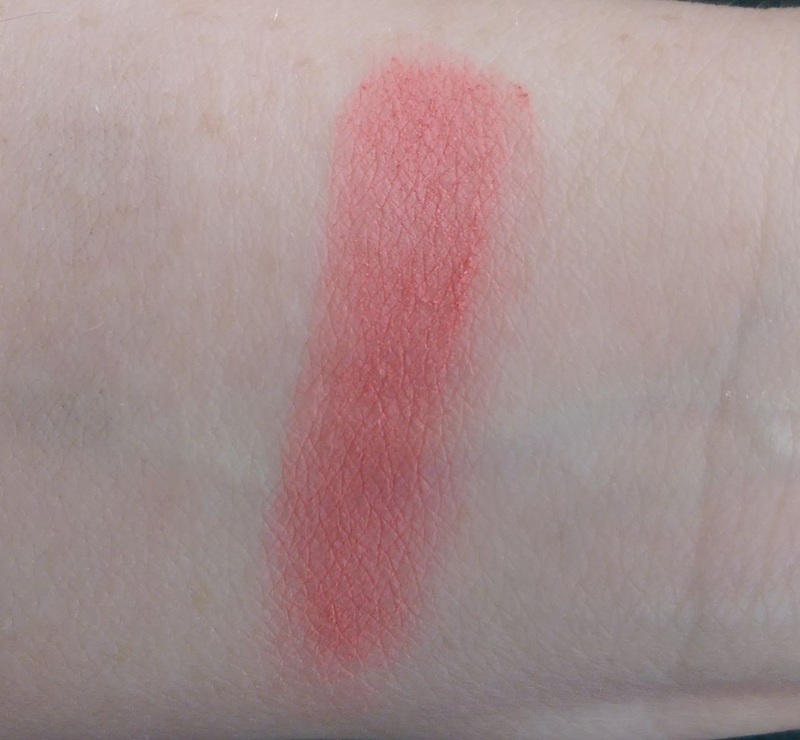 The blush is Talented, a matte rosy pink. Like all of Tarte's shadows, these are nicely pigmented, smooth, and easy to blend. 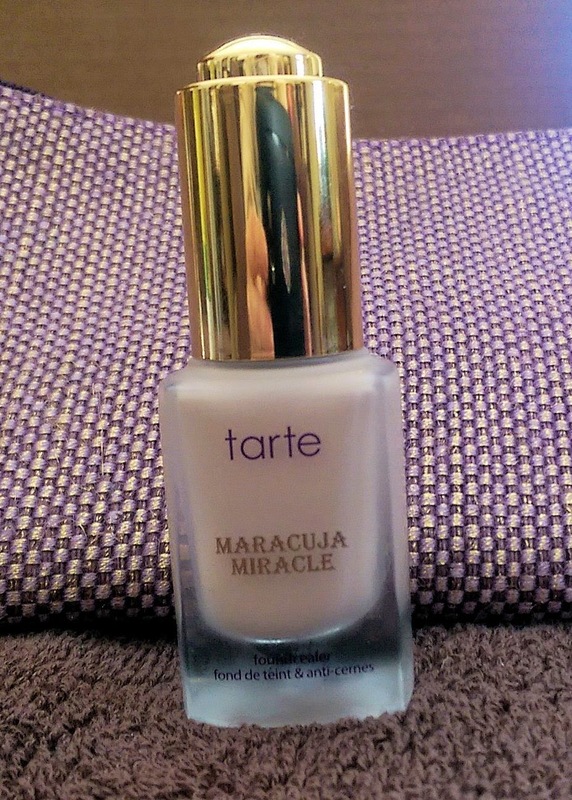 The shadows are all somewhat subdued too, as seems to be Tarte's trademark. 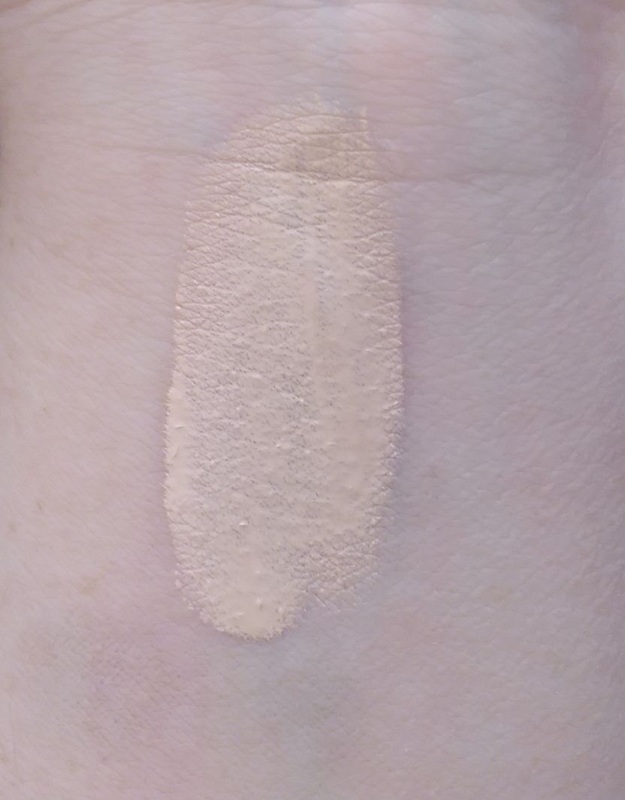 I love Taupe for the Best and Out of this Pearl in particular, but all the shades are really nice for everyday looks. I was probably most interested in the Maracuja Miracle Foundcealer because aren't we all always looking for the newest and greatest foundation? 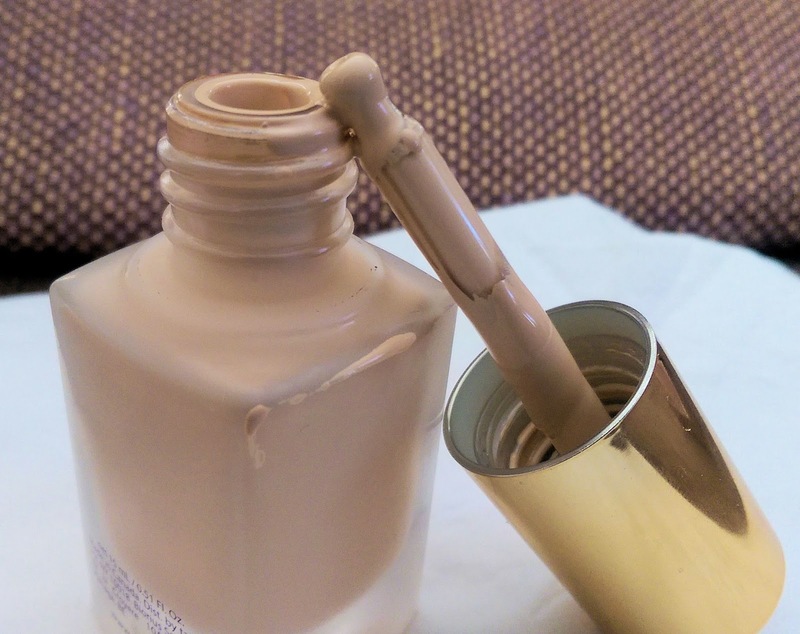 As its name implies, it's meant to be a cross between foundation and concealer. 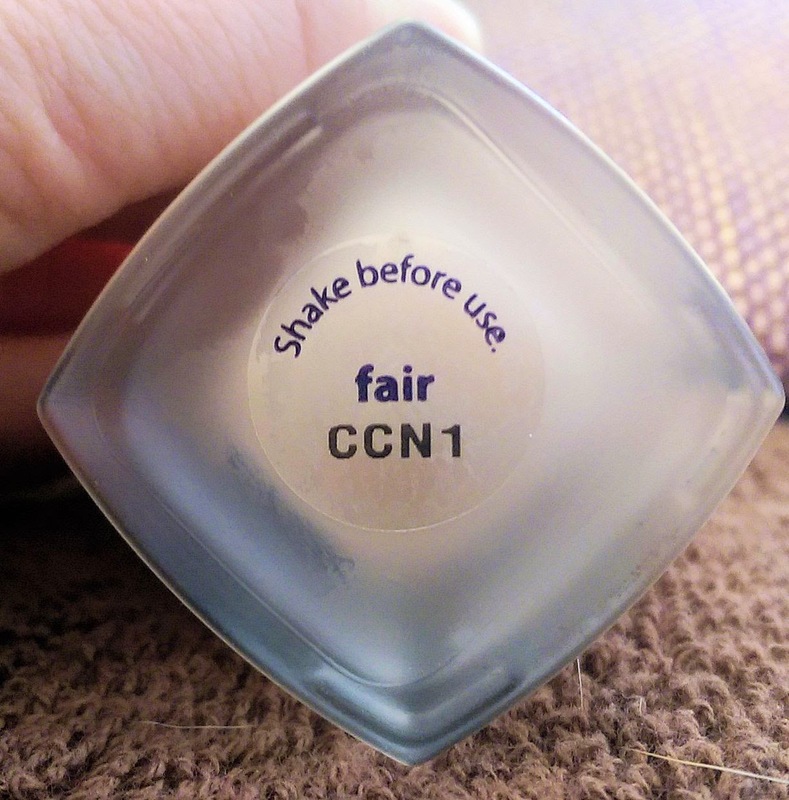 Tarte actually has another product like this, the Colored Clay Foundcealer (which I've had for a while and have been meaning to review for ages, but I'm in the process of reorganizing my makeup storage and my to-review draw has gotten kind of mixed up. Soon, I promise!) That one is fairly thick in consistency, similar to the Amazonian Clay Foundation, and has pretty full coverage. The Maracuja Miracle Foundcealer is much thinner in texture and lighter in coverage. I think it's meant to be a better option for dry or normal skin, like the original Maracuja Miracle Foundation, though I wouldn't exactly call it hydrating or moisturizing. I still needed a concealer on some red acne marks but I quite like the finish, which isn't dewy so much as satin or natural really. I purchased the foundation in Fair and it's a good match for pale skin. I should note that it features a medicine dropper dispenser, which I'm not too crazy about. I feel like I always either get too little or too much product with it, so it can be annoying. 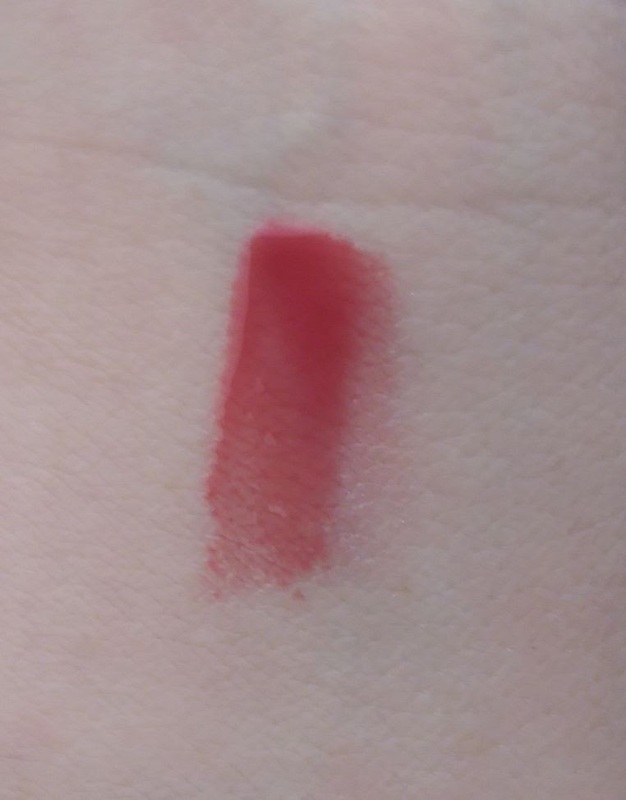 The LipSurgence Liquid Lip Shine is supposedly inspired by Tarte's lip tints and glosses but is meant to be hydrating and provide long-wearing color. I haven't been able to figure out how it's any different than your standard lip gloss, though -- which means it doesn't last terribly long on the lips. Perhaps a couple of hours. That said, it is a thick, non-sticky formula that doesn't wear off as quickly as thinner glosses. Exquisite is a pretty, sheer rose pink that would work for most skin tones. 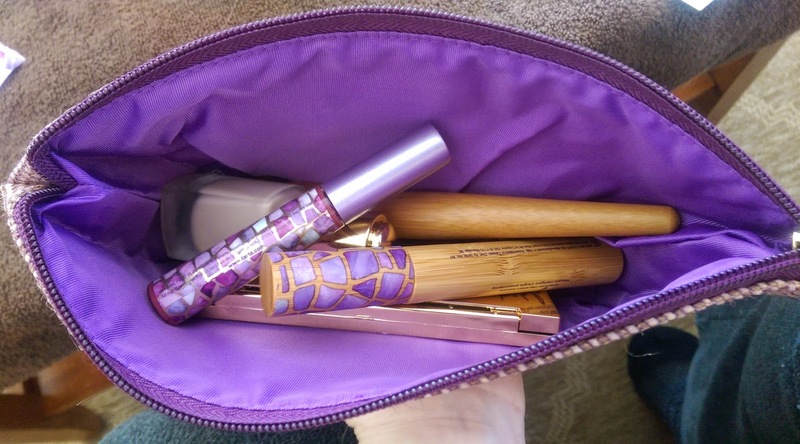 The makeup bag that's included in the kit features a kind of gold and purple checkered design. It's not large enough for traveling, I don't think, but it is a good size to throw in your purse or bag for everyday. The kit will be available $59.96 plus s/h on February 13th. You can purchase it now at the TSV price, though -- and for 3 easy payments. I'm not sure if the Easy Pays will be available on the 13th. The TSV is also available on auto-delivery, so you'll get two more kits with new shadow, blush, and lip color shades in June and October, so you can lock in the TSV price for future collections. I am enjoying this kit very much and I am very happy that I decided to go on auto-delivery. $60 for a palette, foundation, mascara, gloss, and two nice brushes is a pretty amazing deal, so it's hard to argue the value. That said, I don't necessarily think this is a must-have for everyone. If you're not in the market for new foundation or need something that works better for oily skin, you may not want to pick this one up. If you have one or more of Tarte's other shadow palettes, the shades here are really unique so you may have duplicates too. However, if you're looking for a new foundation or a good everyday shadow palette, you can't beat the value of this kit. I definitely recommend it. Are you going to pick up the Tarte Be Your Own Tartetist TSV? Which product are you most interested in trying out?